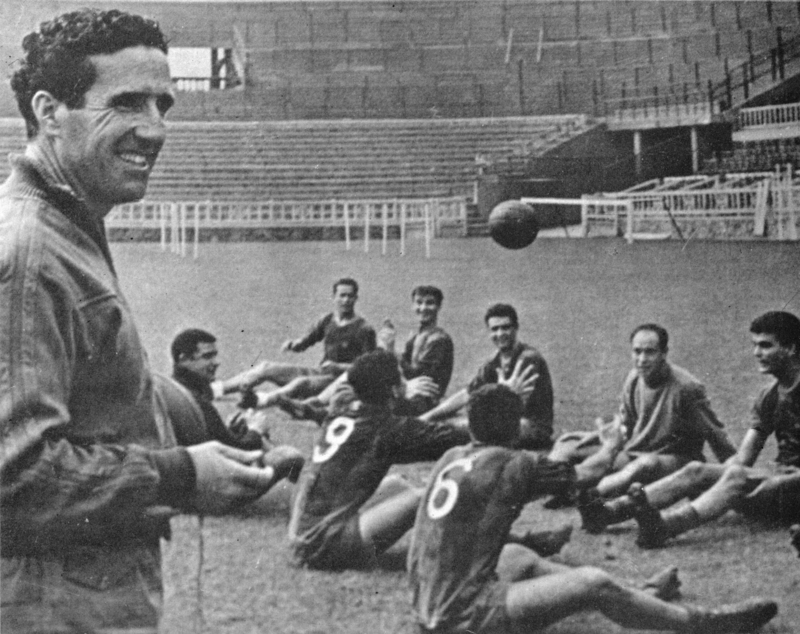 Helenio Herrera was one of the most original managers football has seen, in most ways imaginable. 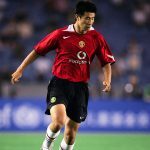 He ruled his teams with a combination of dictatorial discipline, gruesome training regimes, bizarre psychological habits, military-style training camps, and strict dietary plans. Nobody possessed a fiercer will to win – and nobody went further in order to achieve it. His methods could be cruel and heartless, his teams ruthless and cynical. 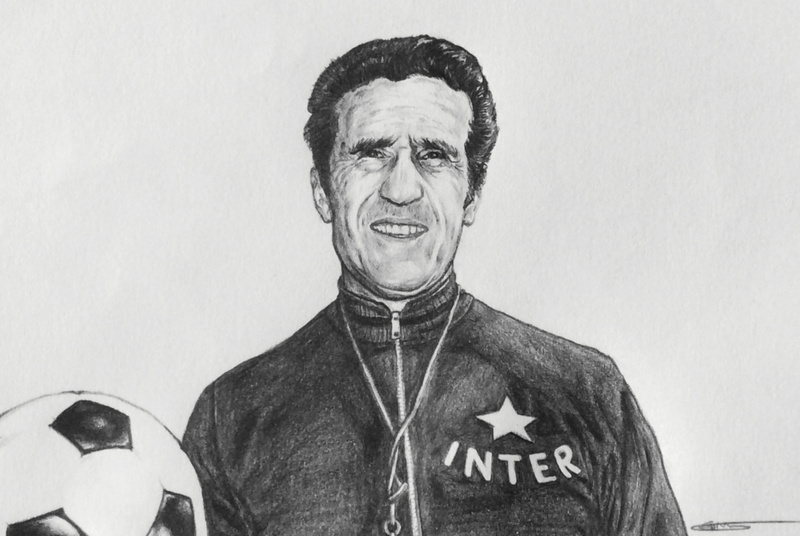 Throughout his two most successful spells, with Barcelona from 1958 to 1960, and with Internazionale from 1960 to 1968, his eccentric persona infiltrated the press. The colourful phrases and affronts attributed to him – correctly or not – merited their own dictionary. An egocentric, he revelled in the attention. Herrera claimed to have invented several aspects of modern football. Some assertions were false, but most were not. 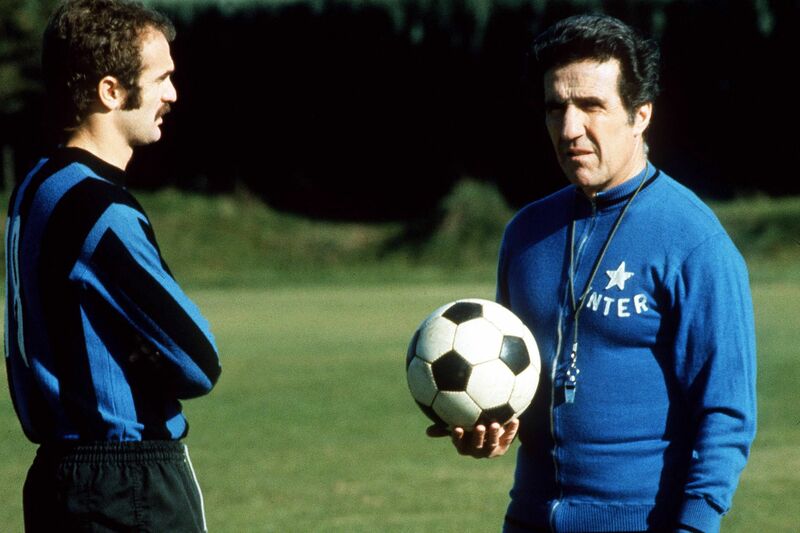 They include training camps and the allegedly destructive catenaccio system synonymous with Italian defensive football. He was the first modern manager. He elevated the coach from a peripheral figure to one of fame, power and influence. He was the first tactician to take credit for victories, and to command salaries in a similar bracket to his star players. He applied shrewd motivational techniques, and monitored his players’ private lives. The demands of abstention were modelled on Herrera’s own private life. He never smoked and rarely drank. According to his daughter, Luna, his pasta dishes contained only olive oil and parmesan. He did yoga every morning. When awaking, he would tell himself: “I am strong, calm, I fear nothing, I am beautiful.” He was even wary of drinking too much water, hiding the bottle on the floor and guarding it with his feet when dining with his children. Herrera was born in Buenos Aires to Spanish parents. His father, Francisco, was an exiled anarchist from Andalusia, and a carpenter by trade. His mother, Maria Gavilán Martínez, was a cleaner. Doubts surrounded Herrera’s date of birth. His French, Spanish and Argentine passports claimed he had been born in 1916, but his official website says he falsified the date to give himself six extra years. The date on the original document had apparently been 10 April, 1910. In 1920, Herrera’s family – impoverished, seeking a better life – left Argentina for Casablanca, then a French colonial city. Herrera enrolled in French schools and befriended Jews, French, Italians and Spaniards. He started playing football. After joining Roches Noires, and Racing Casablanca, he left for Paris in the early 1930s to play for Club Athlétique des Sports Généraux, Stade Français (twice), Charleville, Excelsior Roubaix, Red Star Olympique, and CSM Puteaux. He was an imposing defender, but of limited ability. According to his website, he took alternative jobs to get by. He went door to door selling brass polish to housewives. He taught physical education. He gained a diploma in physiotherapy to work as a masseur. In 1939, when he was called up for military service, he was working as a specialist in fibreglass, a material used both for insulation and in warfare, and managed to avoid duty. Such physical impediments had given Herrera an attentive tactical brain. When he retired, concepts and theories had matured in his mind. In 1945, he rejoined Stade Français, as head coach. Three years later he joined Real Valladolid, before a stint with Atlético Madrid from 1949 to 1953 brought him two La Liga titles. He proceeded to coach Málaga, Deportivo de La Coruña, and Sevilla, before managing Portuguese club Belenenses in 1957-58. In 1958, Barcelona hired Herrera on a mission to dethrone Real Madrid. The Catalans had won the league in 1952 and 1953, but the balance of power had shifted when Madrid signed Alfredo Di Stéfano after a long and bitter political struggle with Barça that involved government intervention. The feud is discussed to this day. Some Catalans claim Franco intervened, in order to make Madrid the best team in Spain. This is rejected in the capital. In July 2014, Alfredo Relaño, editor of Diario AS, one of the two Madrid-based sports newspapers in Spain, published a 4,000-word article aimed at unraveling the saga’s bureaucratic tangle. The story signed off with a five-point annex ticking in at 6,000 words. Relaño concluded – perhaps not surprisingly – that Franco’s role had been exaggerated, and that the outcome of the case relied on the dealings of Madrid; particularly Santiago Bernabéu, the temperamental president, who controlled the club from 1943 to 1978. Perceived weaknesses got no sympathy. One player complained he was sick, only to be sent back into training. When another appeared with a plaster cast, Herrera broke it off. Nothing that could destabilise the players went unchecked. On one occasion, according to Lowe, the club’s directors suspected a player was being led astray by his girlfriend. Worse, she might have met other men while he was away. The club had tried to break up the couple, even hiring private detectives, but to no avail. When told of the situation, Herrera suggested that they hire someone to sleep with her. The pre-match routines could border on the bizarre. Herrera served herbal tea and coffee with aspirin. Wilson writes that he gathered his team in a circle, threw the ball to each player, then stared deep into their eyes and asked: “How are we going to win? Why are we going to win?” Afterwards, the players would gather, put their arms over each others’ shoulders, and shout: “We are going to win! We are going to do this together!” Also according to Wilson, Suárez, one of the key players, held a belief that if wine was spilled during a meal, he would score in the next game. Prior to crucial matches, Herrera would knock over a glass deliberately. Barça started well. In the league, they beat Madrid 4-0. But tension between Herrera and certain players emerged. The most tempestuous relationship was that with Kubala, the idolised forward, who had inspired the title wins in 1952 and 1953. Having escaped Budapest in the back of a truck with false Russian number plates, Kubala had toured Spain in the summer of 1950 with an unofficial team of fellow Eastern refugees. When they played Madrid and Barça, both club presidents had wanted to sign him. He opted for Barça. (One story claims that Kubala turned up inebriated at a train station intent on signing for Madrid, only for a Barça representative to lure him onto a service to Catalonia.) His athleticism and balletic playmaking transformed the team. It is said Kubala drew such crowds that Barça’s stadium, the 60,000-capacity Les Corts, became too small, convincing the board to build Camp Nou. The conflict centred on image as well as tactics. Some suspected the self-obsessed Herrera envied Kubala’s status in the city. Off the pitch, Kubala’s lifestyle went down badly. A heavy drinker, he would revel until the early hours, with a designated taxi driver chauffeuring him to matches and trainings. Sometimes, he turned up drunk. On the pitch, his playful and innocent style contrasted with Herrera’s vision of fast and direct football. Before long, Herrera looked for excuses to drop Kubala. Once, according to Lowe, he requested that the board issue a statement alleging that Kubala had missed trainings and refused to play, citing “illnesses that are hard to demonstrate”. Seven directors resigned out of sympathy for Kubala. In La Liga, Herrera delivered the title in his first season. That meant qualification to the European Cup. In 1959-60, Barça reached the semi-finals and met Madrid, who were yet to lose in the competition. For the first leg, in the capital, Herrera dropped Kubala, and Barça lost 3-1. The return leg ended with the same score, meaning a 6-2 aggregate loss. The following day, Herrera became embroiled in a heated argument with supporters on La Rambla, the city’s famed pedestrian street. Things got physical and Herrera backed off into a hotel that, Lowe writes, happened to be where Madrid were staying. The press portrayed the incident as an assault. Barça later won La Liga for a second time, but Herrera left the club. They would not win another league title until 1974. A new sense of discipline was immediately installed. Players would cross Herrera at their peril. No individualistic quality trumped the value of obedience. The forward Antonio Angelillo, who in 1958-59 had scored 33 goals in as many league games, was thrown out because of his unruly social life. Armando Picchi, a commanding sweeper, once challenge Herrera’s authority and was shipped out to AS Varese. The only idler to survive was Mario Corso, an ingenious left-footed winger, whom Herrera constantly tried to offload, but who enjoyed the admiration and decisive support of Moratti. A player who pleased Herrera more was Suárez. 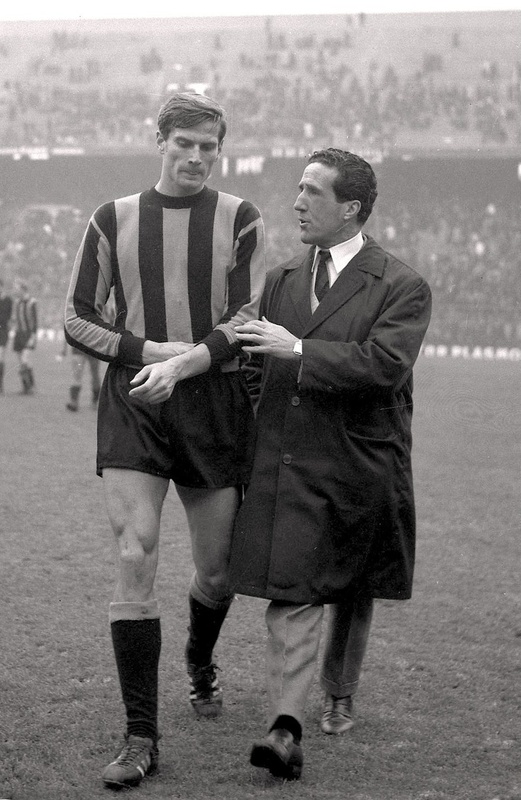 In 1960, the Ballon d’Or winner followed him from Barça to Inter. At Inter, Herrera would record his ideas in notes written in black, blue and red ink, many which were included in the book Tacalabala, published by his wife Fiora Gandolfi after his death. Motivational slogans covered the dressing room walls. He emphasised the importance of crowd support, and participated in forming fan associations and networks. According to John Foot, in his book Calcio: A History of Italian Football (2006), it could be said that Herrera invented the ultra. He embraced his players before kick-off, and held one-on-one meetings known as ‘confessions’. He hunted information that could strengthen his relationship with the squad, instructing his masseur to overhear football-related utterances aired when players were in for treatment. A hardline winning mentality soon infiltrated the club. Once, a squad member told the press that “we came to play in Rome”, instead of “we came to win in Rome”. The player got suspended. Herrera cultivated what became known as the ritiro. They were no-nonsense training camps where players were locked up in hotels for days, surrounded by staff, pitches and equipment. The intention was to increase concentration before games. According to Herrera’s website, he conceived the idea in Barcelona; while in hospital for treatment of a fracture, he spotted a book about mysticism that contained spiritual exercises from the 16th century, and the concept evolved from that. The camps could be brutal. Inter would book up entire hotels, so no other people were in sight. The players swapped family and friends for running and tactical drilling. When English forward Gerry Hitchens left the club, he said it felt like “coming out of the bloody army”. Slackness rarely went unpunished. During a cross-country run, Wilson writes, Hitchens, Suárez and Corso fell behind the group and arrived late at the base. They discovered that the bus had left, and were forced to make the six-mile journey back to Milan on their own. But for all his novelties, Herrera would become most famous for catenaccio, even if he did not invent it. Its origins hailed from Switzerland in the 1930s, when coach Karl Rappan put an extra defender behind the two centre-backs in case a forward broke through. The role was later named ‘sweeper’. Rappan achieved success domestically, before taking a poor Swiss side to the quarter-finals of the 1938 World Cup. The idea soon snuck across the southern border. Small teams would sit back, draw out the opposition, and strike on the counter. In 1947, Giuseppe Viani used the system to take Salernitana into Serie A. They were immediately relegated after failing to win a single match away from home, but, to other coaches, that did not make catenaccio unpalatable. 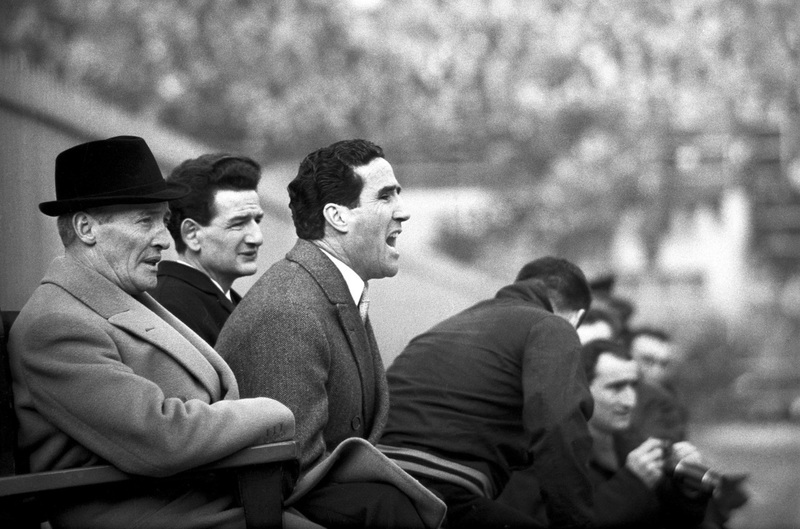 The man who took it into the elite of European football was Nereo Rocco. In the 1940s, he guided tiny Triestina to second place in Serie A, before lifting Padova to new heights in the second half of the 1950s. That landed him the job at Milan, whom he led to the scudetto in 1962, and the European Cup in 1963. After a sojourn at Torino, he returned to Milan, winning Serie A again, in 1968, and the Intercontinental Cup in 1969. Rocco was a natural rival to Herrera throughout the 1960s. A formidable character, he was boisterous, charismatic, ill-tempered, high-handed, witty. Like Herrera, he obsessed about his players’ private lives; at Torino, the gifted Gigi Meroni had to pretend his girlfriend was his sister in order to escape scrutiny. Rocco did not exemplify the lifestyle he wanted his players to lead. He revelled in the company of players and journalists through wine-soaked evenings, especially with Brera, who shared his predilection for defensive football. Foot writes that Rocco effectively used a local restaurant as his office. Rocco’s Milan contributed heavily to the myth of catenaccio. Its reputation suggests an ultra-defensive system where five defenders sit deep, protected by aggressive ball-winners; a game plan designed to ruin football as a spectacle; to win at all costs. The reality was more complex. Milan fielded several technical players and scored a respectable number of goals. Yet the onus was always on winning, no matter how. The reputed defensive mentality and cynicism were rooted in truth. Prior to one game, in the Intercontinental Cup, against Estudiantes de La Plata, Rocco is said to have told his team: “Kick anything that moves; if it’s the ball, so much the better.” Several of his players would become prolific managers of the defensive kind, such as Enzo Bearzot, Cesare Maldini and Giovanni Trapattoni. The team also had a nickname: La Grande Inter. This was not undeserved. They were disciplined, durable, steely, skilful, spirited; fortified by Herrera’s fitness regime and team-building. The tactic was catenaccio, but with vital tweaks. Giacinto Facchetti, an athletic former centre-forward converted into an adventurous left-back, wreaked havoc down the flank. In 1965-66, he scored ten league goals. Centrally played an uncompromising sweeper with an excellent long pass – Picchi – and two centre-backs, Aristide Guarneri and Tarcisio Burgnich. The entire right flank was occupied by Jair, a hard-running Brazilian winger. In midfield, Suárez pulled the strings from deep. Corso loitered on the left, while Sandro Mazzola – son of the legendary Torino captain Valentino – played off the main striker. Claims have surrounded the legacy of who invented catenaccio. Herrera said he devised it during his late playing career in France, when he got the idea of putting himself as a sweeper to protect a lead. But historical evidence suggests he merely made it more famous. (Not a few would say infamous.) Some even assert that others stood behind its introduction at Inter. According to Foot, it is often said that Moratti convinced him to use more defensive tactics. The latter point was certainly true. Herrera’s desire to win knew no bounds. Damaging allegations marred his career – match fixing, bribing of referees, doping – but no evidence was presented that led to punishment. Certain acts were legal, if not necessarily moral. When the father of one of his players, Aristide Guarneri, died on the eve of a match against Milan, Herrera withheld the news so as not to distract the player. In 1965, Inter successfully defended the European Cup by beating Benfica 1-0 in a final held, controversially, at Giuseppe Meazza, on a muddy and waterlogged pitch. As UEFA’s official website diplomatically puts it, “this was not a win for the purist”. Disputes also surrounded the semi-finals. Herrera’s side had lost 3-1 away to Liverpool and, before the return leg, according to Wilson, Bill Shankly had claimed an Italian journalist had told him: “You will never be allowed to win.” Inter won 3-0 in a game riddled with controversy. Corso scored directly from an indirect free-kick, while striker Joaquín Peirò intercepted the ball from Tommy Lawrence as the goalkeeper tried to kick it out. Both goals stood. The next season, Inter struck 59, but conceded three less; 31. The year after, Inter reached their statistical pinnacle. They shipped 20 goals, and although they struck only 56 times, it was enough to win the league. In 1963-64, the defence held firm again, conceding 21, while the attack hit 54. The second league title under Herrera, in 1965, was more entertaining, with 29 conceded and 68 scored. All in all, Inter enjoyed only two league campaigns of exceptional defending. They could be masterful defenders when they wanted, but Foot does not stand alone in writing that “Herrera’s enduring reputation as the ‘controversial missionary of catenaccio’ is built more on what was seen as the cynical will-to-win of his teams – their attitude – than on the way they actually played football”. The season would get worse. Back in Italy, Inter lost the scudetto to Juventus on the last day. In 1967-68, they slumped to fifth, and Herrera left for AS Roma. Down in the capital, Herrera never reproduced the success he had had at Inter. In five years, he only won the Coppa Italia, in 1969. But the controversies endured. That year, one of his players, Giuliano Taccola, had suffered a heart murmur and was in ill health. For a fixture at Cagliari, Herrera made him travel with the squad anyway, and included him in training the morning before the match, in cold weather. Taccola watched the game from the stands. He collapsed in the dressing room afterwards, and died shortly after. Many blamed the coach who had made him travel. In 1973, Herrera left Roma to rejoin Inter. He oversaw an unsuccessful season, before suffering a heart attack. He blamed stress, and opted to quit coaching. But he never disappeared entirely. In the late 1970s, he took up a role with Rimini; later, he spent two seasons back at Barça.